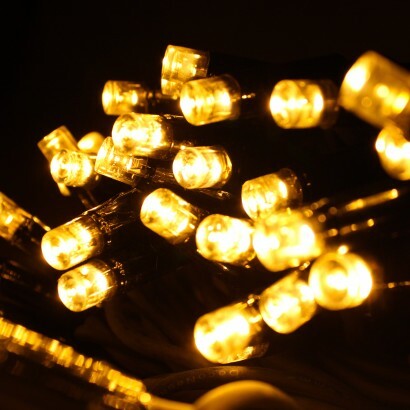 Connect up to fifty sets of warm white connectable LED lights to make a run of up to 5000 lights that measures a whopping 400m! 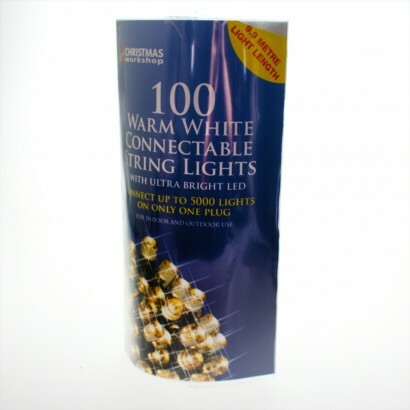 Suitable for use indoors or outdoors, these pretty fairy lights add festive cheer to your home or garden with enchanting static warm white LEDs. 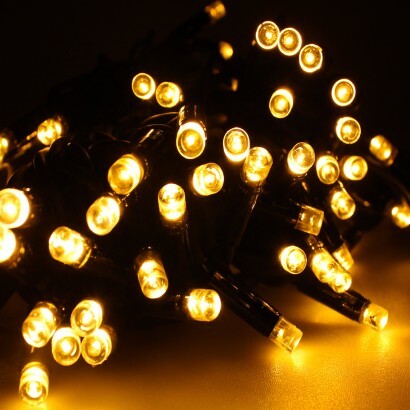 Not just for Christmas, these mains operated fairy lights are ideal for adding a little extra magic to your home or garden throughout the summer months and for parties too! Individually, each set has 100 LEDs and gives 9.9m of illumination making a very impressive lighting display.